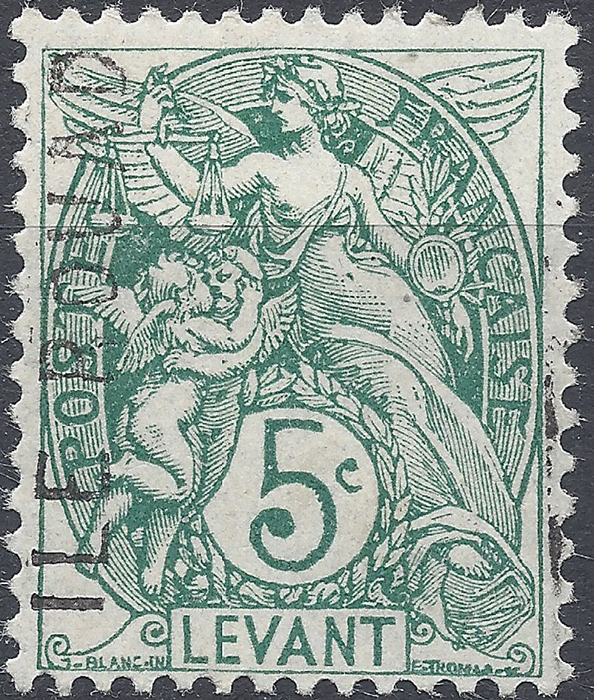 Floyd A. Walker (see Syria) writes, "Syria has had an interesting philatelic history. It includes the issues of Alaouites, Ile Rouad, and Latakia, as well as its own #1." Arguably, Alexandretta can also be included. † Gibbons lists all three entities under Latakia and refers to "Rouad Island (Arwad)". 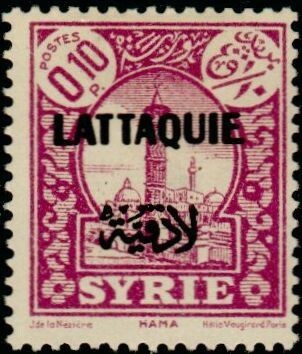 Stamps for Alaouites (SG1-63) are followed by Latakia (SG64-96) with Rouad Island starting again as SG1-16. Ile Roud - the island of Arwad (called Rouad by the French), was occupied by the French during WW1. 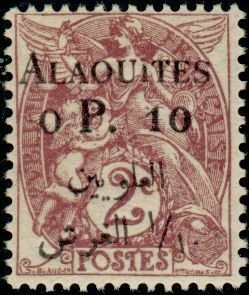 Alaouites - on 1st September 1920 France divided Syria into three autonomous states: Aleppo, Damascus and the Alaouites. On 1st January 1925 Aleppo and Damascus rejoined to become Syria, Alaouites remaining separate. Latakia - on 22nd May 1930 Alaouties was made a republic and on 22nd September renamed Latakia.